I’m down here in beautiful Florianopolis getting ready for next weekend’s Battle of the Paddle Brasil. This country has an amazing ocean culture and stand up paddling is really starting to take off around here. 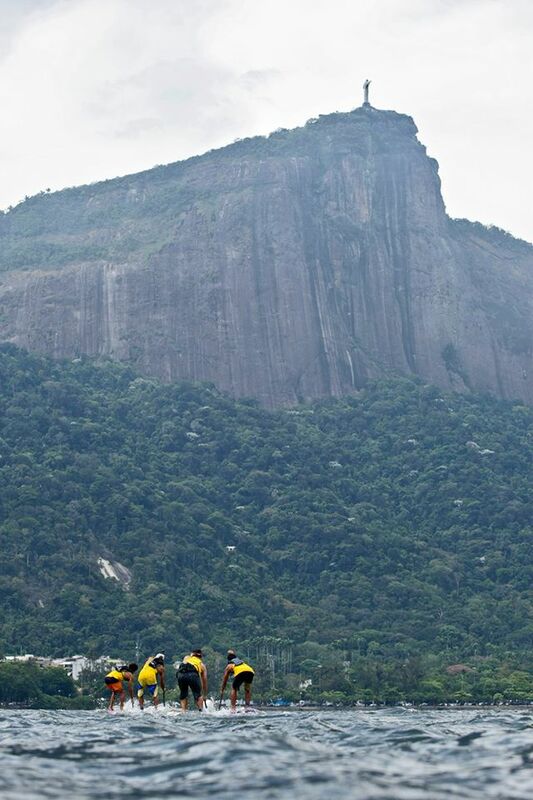 The Battle will be one of the highlights, however the BOP is only one of many races in this part of the world. Last weekend another SUP race was held in Rio de Janeiro, though it certainly wasn’t your standard event… As part of the crazy, multi-sport adventure race known as Rocky Man, several of Brazil’s finest (and a few international stars) paddled around Rio’s Lagoa Rodrigo de Freitas. 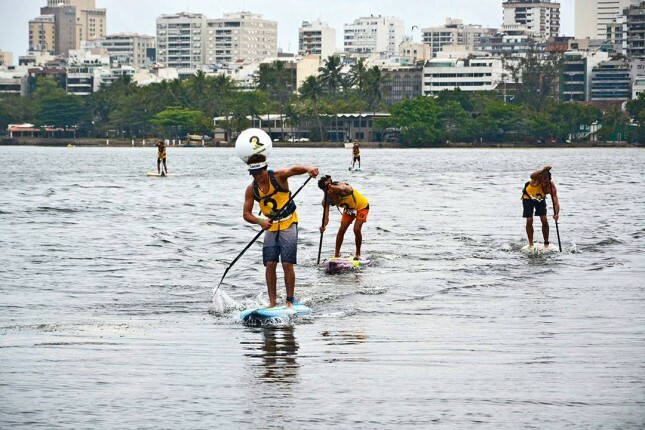 The race featured several of the names that’ll be starring in Floripa next weekend, including the top three finishers: Mo Freitas, Vinni Martins and Luiz “Animal” Guida. 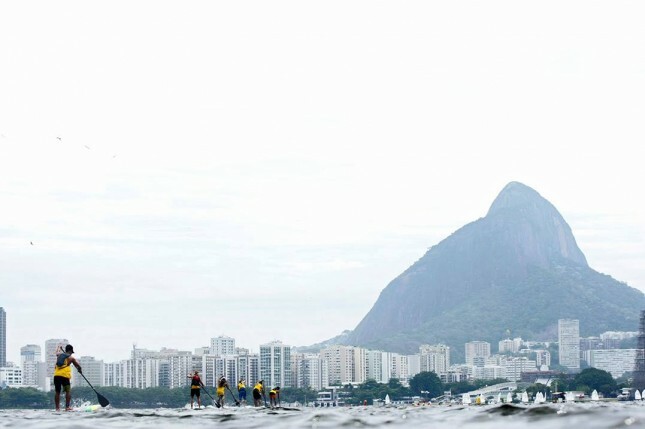 Under the watchful eye of the iconic Christ The Redeemer statue, Vinnicius led for much of the race and helped break up the early draft train but couldn’t shake Mo and Luiz. 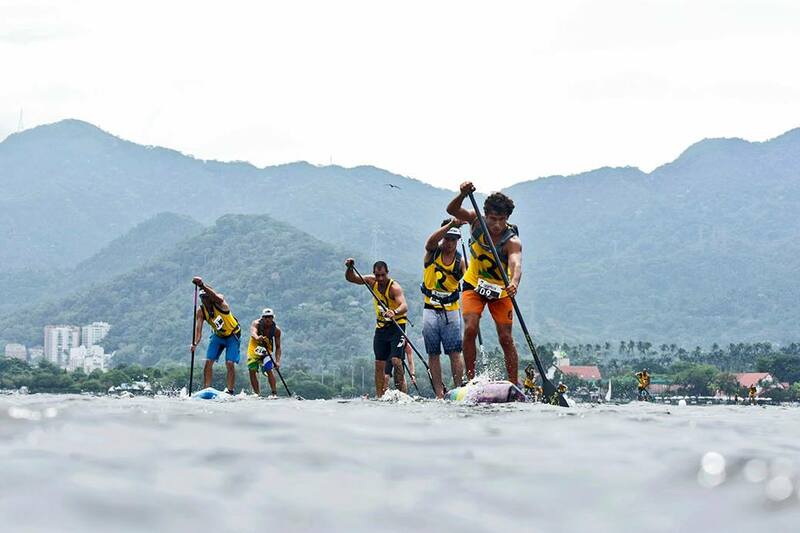 The three battled all the way to the line, where Mo’s experience and crazy sprinting power came through as he paddled clear in the final metres. It was quite fitting that Mo Freitas won the race, seeing it was held on the Rodrigo de Freitas Lagoon. The young gun, who lives in Hawaii but is actually Brazilian, will now head south to prepare for the BOP Brasil where he’ll face off against Vinni and Luiz once again. Vinnicius, Brazil’s young international star, came home second while the Animal settled for third. 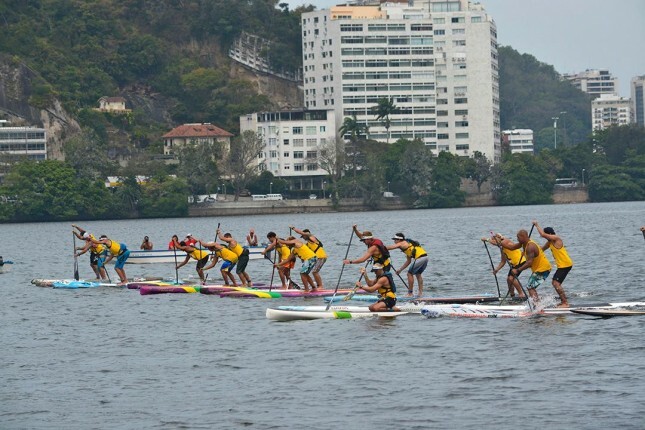 Finishing fourth on the Lagoon was everyone’s favourite nomadic hipster, Andrew Logreco, while the famous victory at sea paddler, New Zealand’s Armie Armstrong, rounded out the top five. 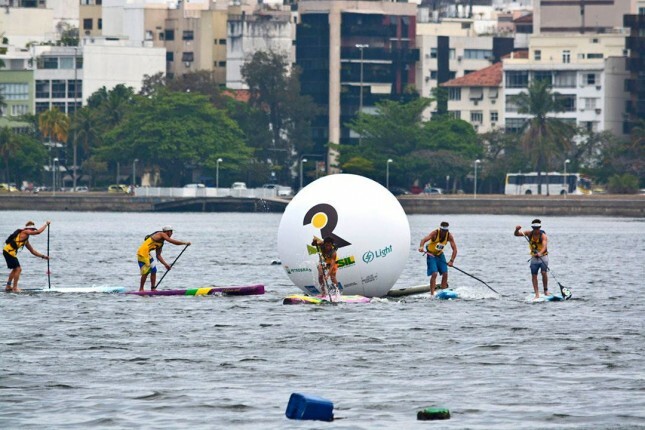 Stay tuned for more racing action in the land of soccer and samba as we present full coverage of the Battle of the Paddle Brasil on November 22nd & 23rd.